I really like the way that you used cruffle and put it together with rixty! 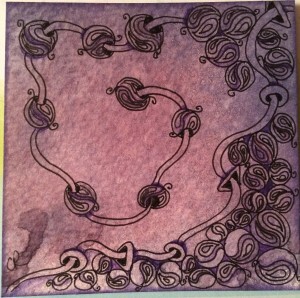 I like this tile on this beautiful paper. And never forget that ‘bad’ days get better when you tangle. Wonderful tile! Great idea the combiantion of Cruffle and Rixty. Lovely colour, too! Like the paper that you used. 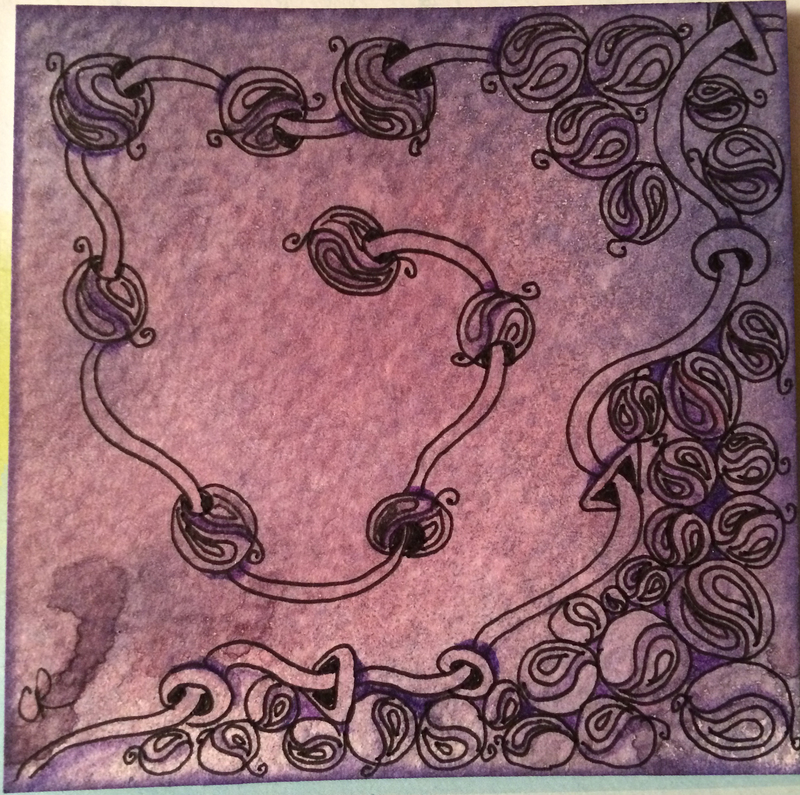 I sometimes like color on a piece this way more than coloring the tangles. Like how you combined these two tangles.